Break a sweat…not your routine! 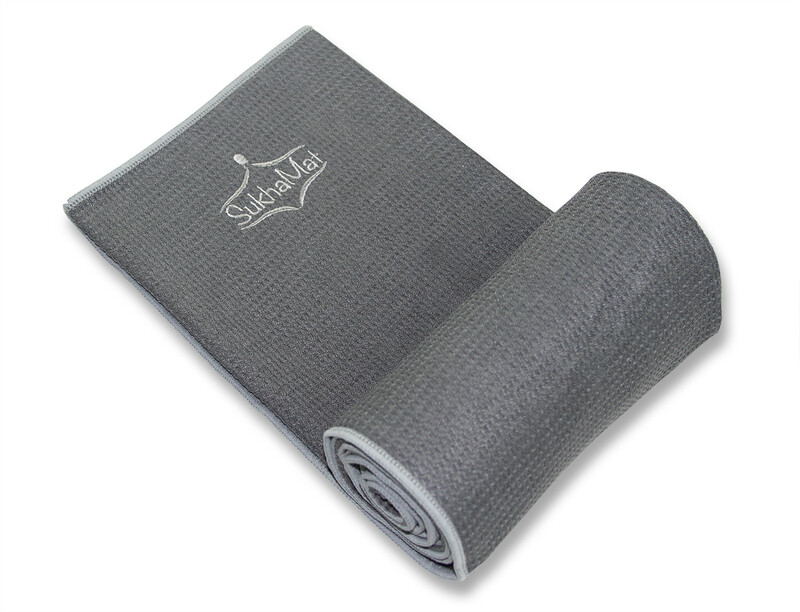 Our SukhaMat Non-Slip Yoga Towel is the perfect, convenient way to manage moisture during your hot yoga workout. Offering a superior grip, even as you sweat, our towel works with your mat to provide a stable, comfortable foundation for your yoga routine. You want your yoga workout to be free from distractions — such as your mat becoming slippery with sweat! But go ahead and sweat — the SukhaMat Non-Slip Yoga Towel is the perfect solution to help maintain comfortable, dry conditions for your yoga routine. Our moisture-wicking towel fabric is ultra absorbent, yet fast drying to help alleviate the “sweat threat” and maintain stability, safety and peace of mind during your yoga routine. Made of 100% microfiber, our towels are SGS-tested to ensure maximum quality, performance and reliability. 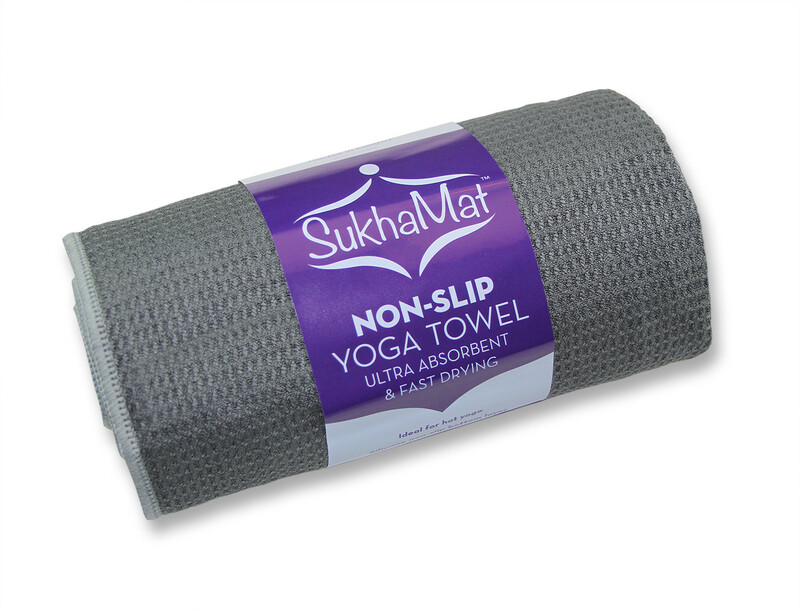 Featuring a silicone, non-slip bottom layer and a waffle weave anti-slip top, SukhaMat Non-Slip Yoga Towels provide the perfect combination of comfort and performance! The superior gripping power of our towels will help you hold and change positions throughout your yoga routine without worry. 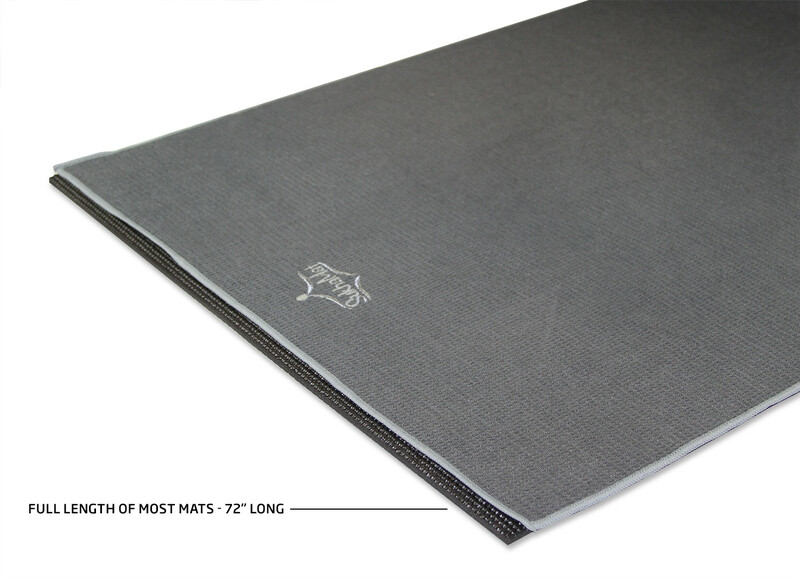 At 72″ long and 24″ wide, our yoga towel provides excellent mat coverage. 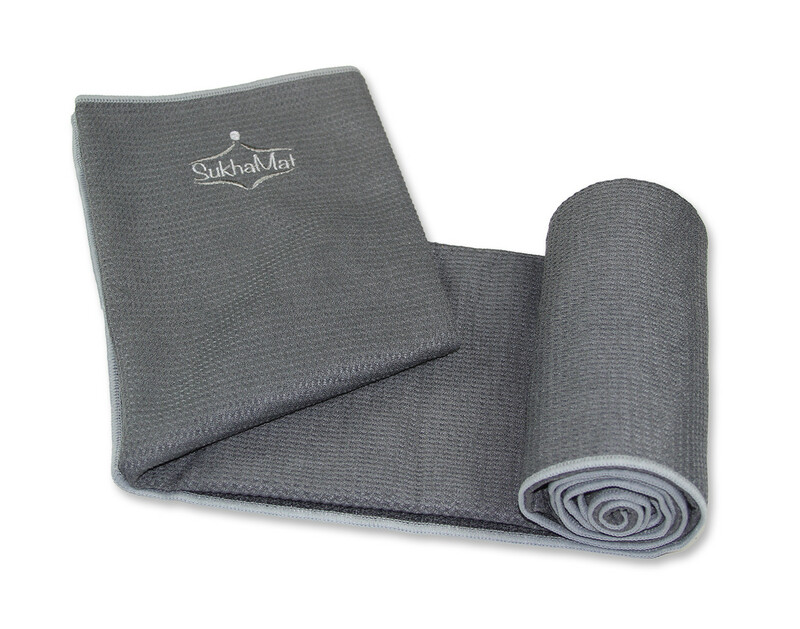 Care of your SukhaMat Non-Slip Yoga Towel is easy: machine wash in cold water, tumble dry on low heat. And our towels come with a LIFETIME GUARANTEE! If your towel ever rips or shows signs of wear, we’ll replace it at no charge or give you your money back! Order with confidence today and enjoy the convenience and reliability of our towels for a lifetime!